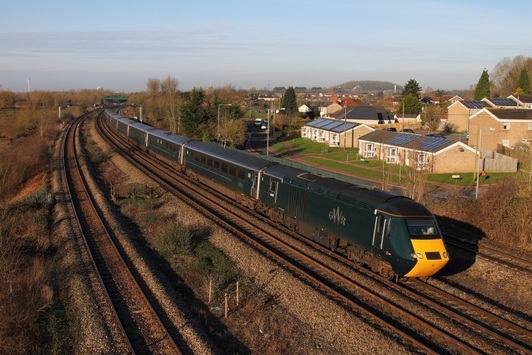 On the 20th September 2015, First Great Western were renamed and rebranded as Great Western Railway (GWR) with the house colours changing from First Great Western Blue to a historical and identifiable Great Western green. The first 125 set to receive the new colours were Power Cars nos. 43188 and 43187 (which were completed at RVEL Derby). 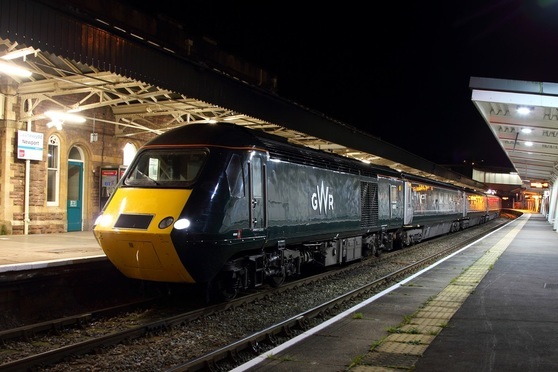 A change was felt necessary after First Group's franchise for Greater Western was extended to the 30th March 2019 with many routes within South Wales and the South West to undergo major electrification projects and thus the sebsequent introduction of Hitachi class 800 and 801 units. 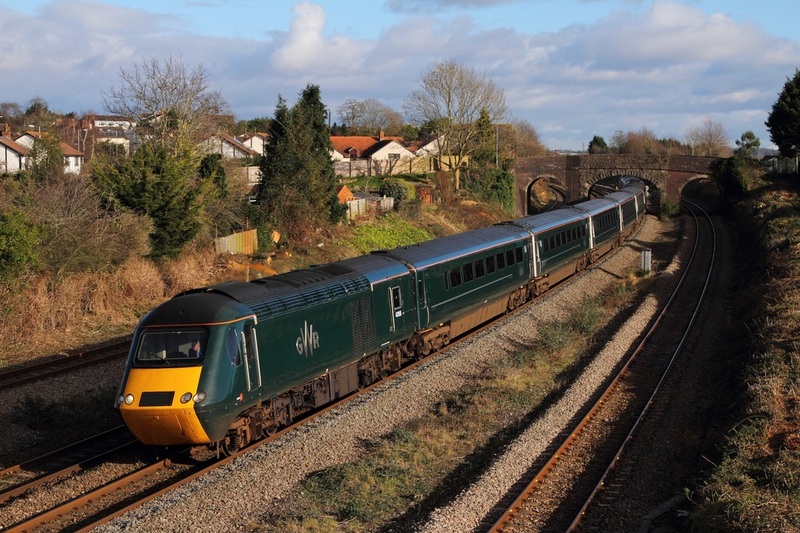 Great Western Railway say that it will take as long as 2018 to repaint and rebrand the entire fleet. 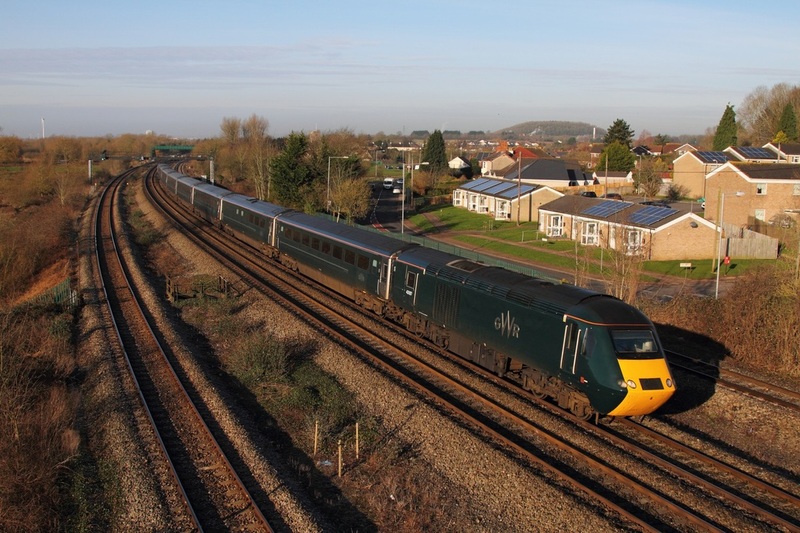 43187+43188 on the 1L38 0758 Swansea to London Paddington at Undy on the 16th February 2016. 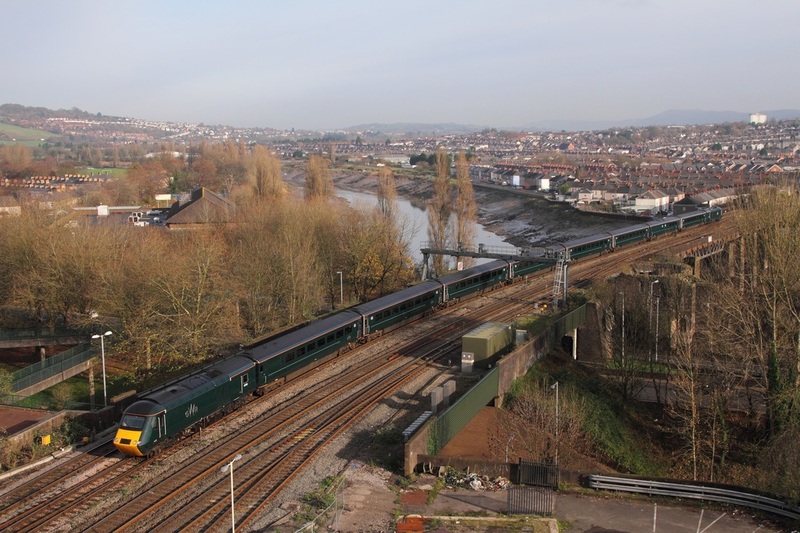 GWR set 43188 leads 43187 on the 1B25 1045 London Paddington to Swansea at Undy on the 15th January 2015. The Great Western Railway set​led by 43188 leading 43187 arrives Newport with the 1B20 0945 London Paddington to Swansea on the 23rd November 2015. 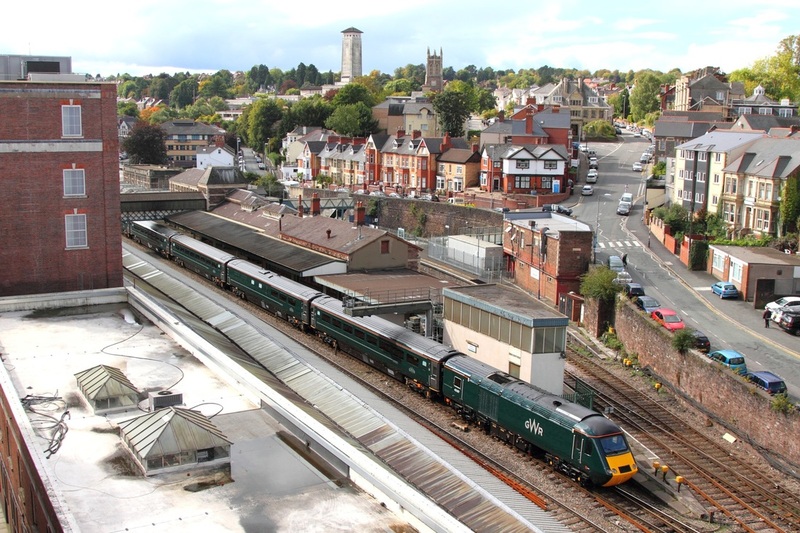 The first 125 set to be repainted and rebranded into the GWR livery is captured here in West Wales at Briton Ferry as 43187 leads 43188 on the 1L76 1528 Swansea to London Paddington on the 22nd September 2015. 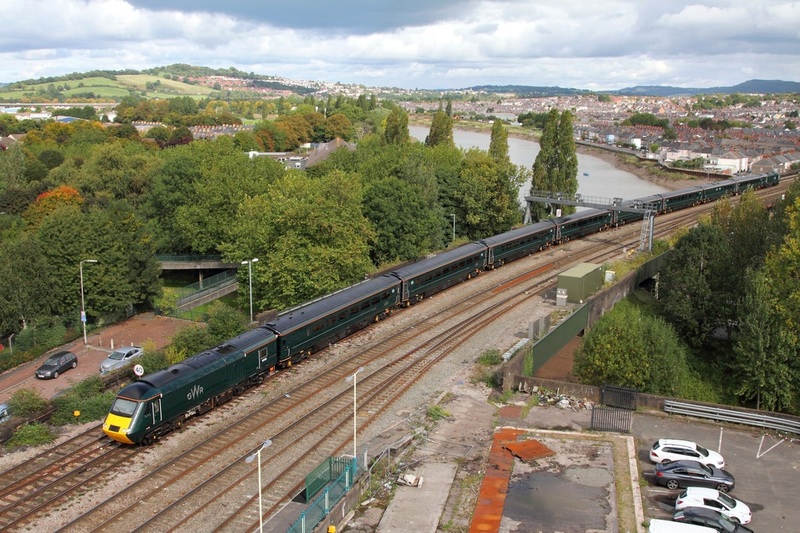 GWR 43188 leads 43187 on the 1B28 1145 London Paddington to Swansea into Newport on the 22nd September 2015. 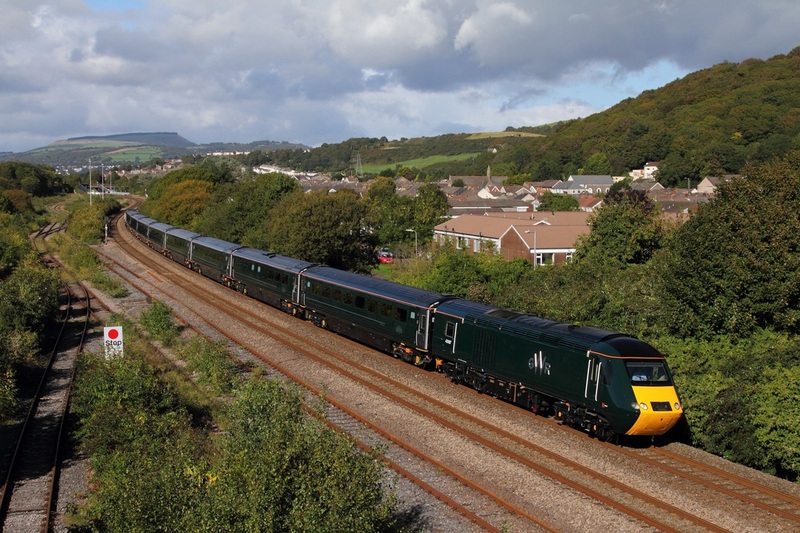 43187 is captured on the rear of the 1B28 11:45 London Paddington to Swansea at Newport on the 22nd September 2015.